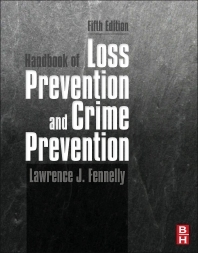 Edited by the security practitioner and author Lawrence Fennelly, this handbook gathers in a single volume the key information on each topic from eminent subject-matter experts. Taken together, this material offers a range of approaches for defining security problems and tools for designing solutions in a world increasingly characterized by complexity and chaos. The 5e adds cutting-edge content and up-to-the-minute practical examples of its application to problems from retail crime to disaster readiness.